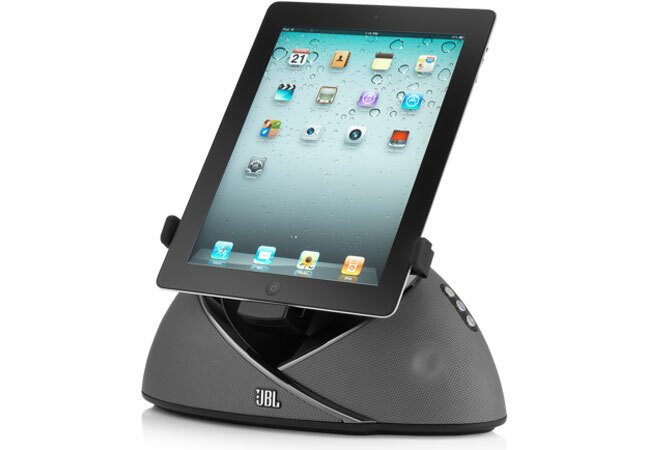 JBL has released a new version of their Onbeat speaker dock for the iPad, iPhone and iPod, the new version is called the OnBeat Air and it now comes with support for Apple’s AirPlay technology for wireless music streaming. The JBL Onbeat Air will work with your iPhone, iPad or iPod and it comes with a 30 pin connector to recharge you device and also play music through the speaker, and you can also stream you favourite tunes wirelessly using AirPlay. The JBL OnBeat Air is available now for $249.95 from JBL.